How do I apply for a job at Canadian Natural? Please visit our campus careers page for a complete list of current vacancies. If you are eligible for a position, follow the easy online application process. What campuses does Canadian Natural recruit at? Canadian Natural recruits from most major Universities and many colleges across Canada. Our campus program is currently growing and is continuing to reach more campuses. Please view our events page to see if/when we will be attending your campus. What disciplines does Canadian Natural recruit for? To find out if we have opportunities of a specific discipline please visit our campus careers page, your school's career page, or contact your school's advisor. Do you hire your students on as full-time employees after they have completed their work term(s)? Students that complete work terms at Canadian Natural gain a vast array of knowledge and also become familiar with Canadian Natural's processes. Students who have completed work terms at our company are greatly valued and are strongly considered when we are looking to fill full-time positions. 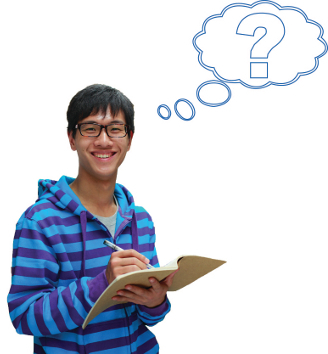 Are there any eligibility requirements to apply for a student position? To be considered for a student opportunity, you must be legally eligible to work in Canada and be enrolled in a post-secondary institution. When does Canadian Natural recruit for student positions? The two main recruitment periods begin in September and January. We recommend that you view our postings at our campus careers page and also check your school's careers page. Can I apply for a summer position even if Canadian Natural isn't recruiting at my university? Absolutely! Our postings can be found online at our campus careers page and are open for all students to apply. Additionally, you can drop your resume into our database for future consideration if you do not see a matching position. What is Canadian Natural's student recruitment process? Student positions are posted at various campuses and on the campus careers page. Applying to a posting on our campus careers page or by following the link provided on your school's careers page, is the fastest and best way to get your resume and qualifications reviewed. Due to high volumes of applications received, only successful candidates will be contacted. What documents do I have to submit to complete my online application for student positions? It is important to have your cover letter, resume, and transcripts as one complete PDF package. This will ensure that your application is viewed in its entirety and will assist the Recruiters throughout the process. How should I prepare for an on-campus interview? Students are advised to arrive on time, and to be prepared to answer behavioural and experience-related questions. Above all, our most important suggestion when attending an interview is to be yourself! Canadian Natural's dress code is business casual. Appropriate office-attire is encouraged, while jeans are acceptable for Friday interviews. What does Canadian Natural offer students? Are Canadian Natural's student positions paid? Yes, Canadian Natural's student positions are paid competitive wages. The pay rate is dependent on discipline, education level, and prior related experience. How long are Canadian Natural's student positions? Canadian Natural offers various term lengths dependent on the position. These terms commence in May, September, and January. View our job postings at our campus careers page for specific position details. Where will my work term be located? Location is dependent on the student position. Canadian Natural's corporate office is located in Calgary with much of the company's operations based throughout Alberta, as well as in British Columbia and Saskatchewan. View our job postings at our campus careers page for specific position details. Why should I choose Canadian Natural? Canadian Natural is one of the largest independent crude oil and natural gas producers. In addition, Canadian Natural operates one of the largest Campus Recruitment programs in the country. Students hired on with us are made to feel a part of the team, gaining high level experience, knowledge, and training that introduce and prepare you for full-time employment. I am in my final year and seeking a permanent opportunity, can I apply? Yes, please view a full list of our current opportunities on our corporate careers page. If these positions do not match your skillset, you can drop your resume in our database to be considered for future vacancies that match your skillset. How do I follow Canadian Natural on social media? Follow us on LinkedIn, Twitter, and YouTube. Does Canadian Natural have an Engineer-in-Training (EIT) Program? Yes, Canadian Natural has an EIT program that is designed to jump start your career. Our EIT programs are tailored to your skill sets, needs and interests. In addition you will have the opportunity to build upon your leadership skills and apply your academic knowledge to a practical work environment. Our EIT program is designed to give you maximum exposure to different areas at Canadian Natural through rotational options and mentorship programs with senior engineers in both field and office settings. You'll receive hands-on experience and take on new challenges that impact our bottom line. Please note preference for our EIT program is given to prior co-op and internship students who did work terms with us while completing their schooling. Are Masters Students eligible to apply for student positions that only specify an Undergraduate degree? Students who are in the process of completing their Master's program are welcome to apply for any of our student positions as long as they are eligible to work in Canada and will be returning full-time to their program after the work term. Does Canadian Natural have a scholarship program? Canadian Natural is proud of our training and education initiative, Building Futures. The Building Futures Scholarship Program accepts applicants from students in all stages of their academic lives that live in communities where Canadian Natural has operations with priority going to applicants seeking training in trades and technical areas related to the oil and gas industry. To learn more, please visit our Scholarships page. Are there any apprenticeship opportunities at Canadian Natural for students going into the trades? For trade's positions, we live by our mission statement "to develop people" and most often promote from within. In the event we are recruiting apprentices in the trades, the positions will be posted under Maintenance on our experienced careers page. During my work term, where will I stay and how will I get to my work location? You can find position specific information under the "What we offer" section of each job posting. For work terms located in Calgary or in the field, students are responsible for finding their own accommodations. Transportation assistance is provided for students from their school to their work location at the beginning and end of their work term. For days off, students are welcome to travel wherever they'd like, however, transportation assistance will not be provided. For students joining the Canadian Natural team, please reach out to your dedicated Campus Recruitment Advisor with additional questions. What is it REALLY like to work at Canadian Natural?